Pour 1 litre of water into a soup pot , add in the screwpines and red dates and boil till fragrant, add in the gula melaka and dried longans and cooked till the longans are puffed out and the gula melaka has dissolved. 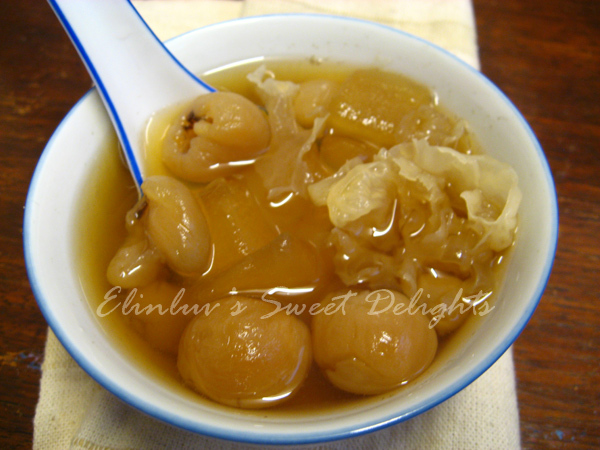 Add in the white fungus and and continue to boil for another 10 mins. Off the heat and add in the aloe vera cubes. 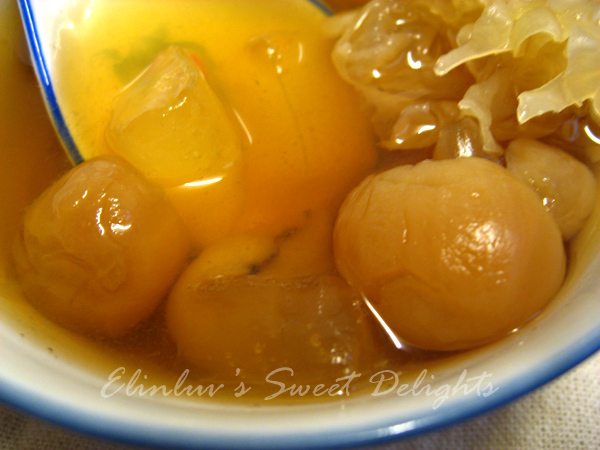 When the sweet soup has cooled down, chilled them in the fridge before serving.